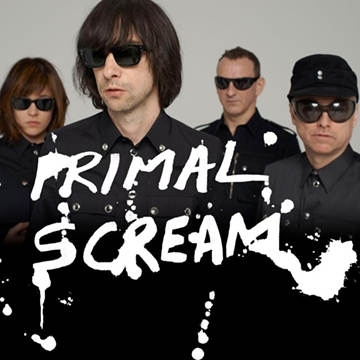 Sunday 2 June 2019, Primal Scream, who have released a catalogue of influential, ground-breaking albums over the last three decades including 'Screamadelica', XTRMNTR, 'Vanishing Point' and 'Riot City Blues, will be joined by special guests The Charlatans and Fun Lovin' Criminals. Primal Scream release a new, two volume singles compilation in May ahead of the Dublin show - ‘Maximum Rock ’N’ Roll: The Singles’ featuring Rocks, Moving On Up, Come Together and Andrew Weatherall’s ‘Uptown’ mix, and Some Velvet Morning featuring Kate Moss. Since their debut, The Charlatans have released 13 albums with their 2017 album 'Different Days' becoming their 9th Top Ten on the album charts. Awarded a lifetime achievement award from Q magazine, The Charlatans have released a host of hit singles including The Only One I Know, One To Another and North Country Boy. Multi platinum New York City trio Fun Lovin’ Criminals celebrated the 20th anniversary of their debut album 'Come Find Yourself', which featured massive single Scooby Snacks, with sold out tours in 2016 and in 2019 released "Another Mimosa".